In fact, competing in the 120-kilo division, he’s never met a scale he couldn’t tip decidedly in one direction. Grand success, however, has come with balance, and in the case of the grappling standout with Abbotsford’s Fraser Valley Cascades, his mass has found a friendly rival in the weight of purpose and lofty ambition. Together, they have not only elevated a very big guy to the best season of his career, but given him the confidence to talk about reaching his sport’s ultimate level of competition. “I want to make the 2020 Olympic team,” says the second-year redshirt, who was recently named UFV’s overall Male Athlete of the Year, capping an historic campaign in which he became the school’s first-ever U Sports (formerly CIS) national champion in any sport. It’s a gift when we find the mentors in life that truly make a difference. That has most definitely been the case for Hildenbrandt, who may well have been a star along the offensive line had he been allowed to play football during his high school years at football-crazy Lord Tweedsmuir Secondary in Surrey. “My parents didn’t want me to, they wouldn’t let me because they were worried I would get hurt,” says Hildenbrandt, who turned to wrestling both in school and in the community in a move that set him on his future path. 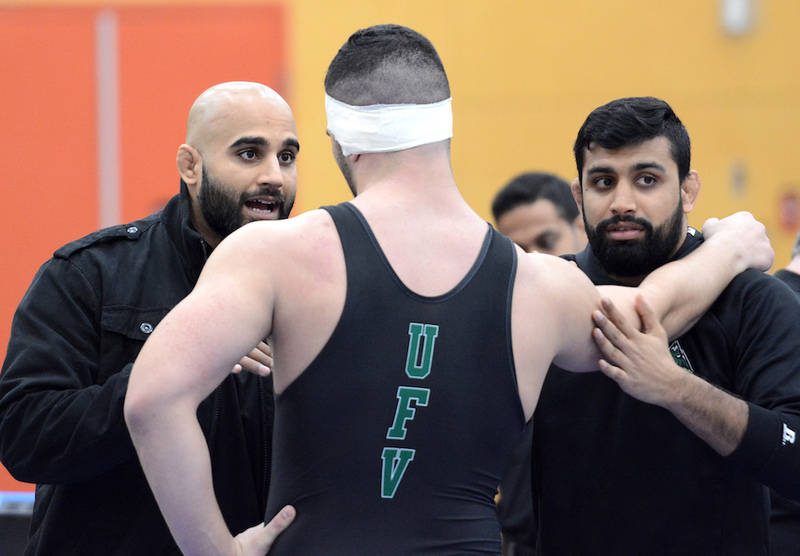 In ninth grade, at the Khalsa Wrestling Club, he met coach Raj Virdi, a former Simon Fraser Clan and national team wrestler who would wind up playing a huge role in his development both on and off the mat. 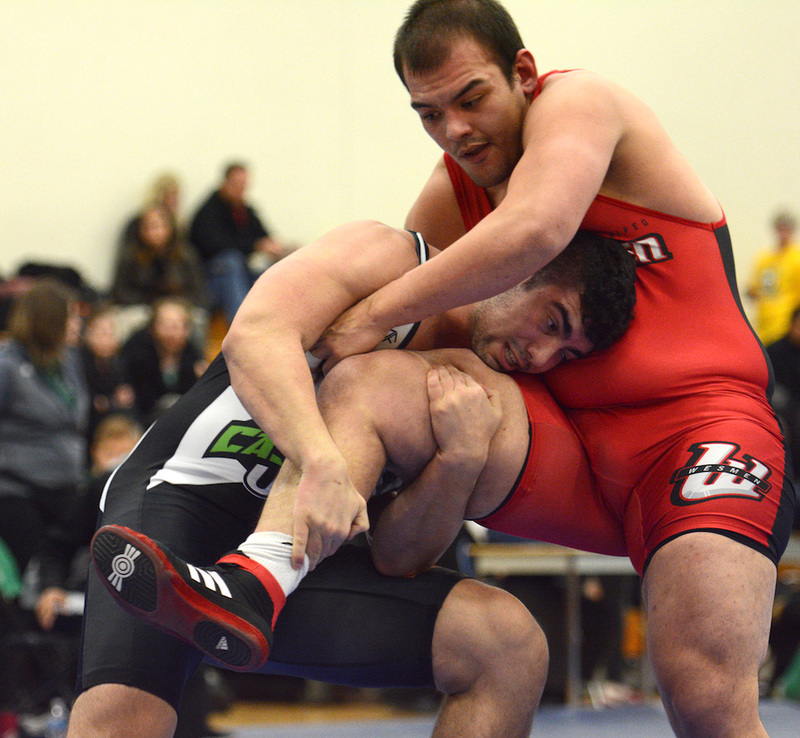 In 2013, both Virdi and his SFU roommate and teammate Arjan Bhullar, the latter fresh off representing Canada at the 2012 London Olympics, saw the need for a collegiate wrestling program in Abbotsford, one of the sport’s true high school hotbeds. Together, they approached UFV, made their pitch, and by 2014, found them themselves as the co-coaches of a men’s and women’s program which has gained full CIS varsity status at the school. That same season, Hildenbrandt, in his Grade 12 year at Lord Tweedsmuir, capped off his senior campaign by winning gold at 110 kilos at the B.C. High School Championships. From one big guy to another, it turned out to be a huge one. Bhullar, just 10 years Hildenbrandt’s senior, not only carried the same physique, he represented to his new recruit someone who had journeyed down the exact road he wanted to one day travel to achieve his ultimate goal of competing in the Olympics. It was, from a coach-athlete standpoint, the perfect storm. For Bhullar, the opportunity to begin coaching by mentoring a rising prospect who so closely mirrored himself has been career defining. “It’s funny but it’s the same type of ingredients in terms of sacrifice and sticking to the plan,” he says of his transition from athlete to coach. And the same natural instincts he carried as a seasoned competitor emerged in the young coach when the Canada West season began in the fall. Bhullar felt Hildenbrandt, in his third year at the school and his second with the team, was ready to compete with more expectation. And so he met with him and told him his time was now. And with three more seasons of university eligibility remaining, Hildenbrandt is confident he’s on an upward climb and happy to have two trusted mentors at his side. “Raj was my club coach all through my high school years and knowing him was a huge factor in me coming here,” began Hildenbrandt who is hoping to finish off his degree in time for the Olympic Trials. “And Arjan has really helped me work on the mental side of things. He’s really helped me refine the process. On one side of his personal scale, a U SPORTS gold medal represents an impressive opening chapter. On the other side, the weight of his ambition provides balance moving forward. Now Brad Hildenbrandt is ready for even bigger successes.